Selling for Ms. Slaight is the family homestead. This farm has been in the Slaight family since 1853. The house barns and approximately 20 acres will be sold at public auction on August 18, 2011. Please find more information about this auction here. The remaining land will be offered at private treaty. The farm is comprised of two parcels. Offers will be considered on any portion or all of the farm. Please contact our office for more information. 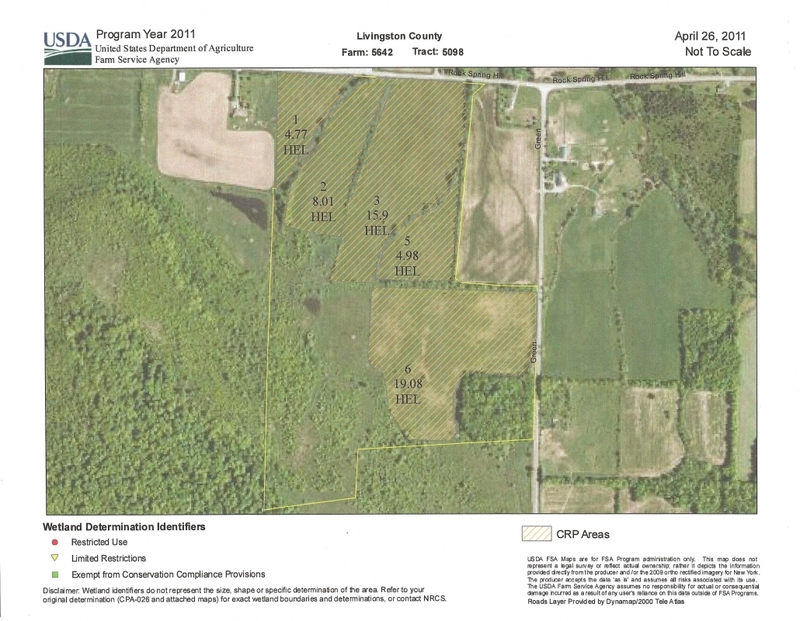 NORTH PARCEL-Approximately 140 acres with approximately 124.5 tillable acres. Frontage on the east and west sides of Presbyterian Road and the north and south sides of Moffet Road. Property is improved by an older wood frame barn. 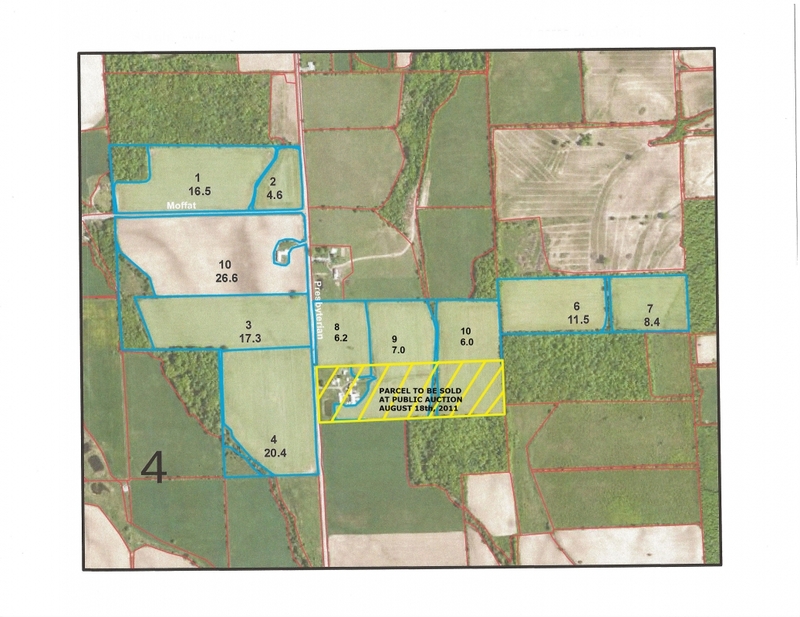 SOUTH PARCEL-90.5 acres with approximately 52.74 tillable acres. Property has road frontage on the south side of County Road 11 and frontage on the west side of Green Road.